The Royal Family of England has made an official announcement that Prince Philip will step down from public life in autumn of 2017. This doesn’t change the rules of succession. Philip Mountbatten is the Duke of Edinburgh. He was born Prince Philip of Greece and Denmark. He is the husband of Her Majesty Queen Elizabeth II. The wedding of Queen Elizabeth II and Prince Philip, Duke of Edinburgh, took place on November 20, 1947. Elizabeth and Philip are second cousins once removed (by descent from Christian IX of Denmark and Louise of Hesse-Kassel) and third cousins (by descent from Queen Victoria and Prince Albert). 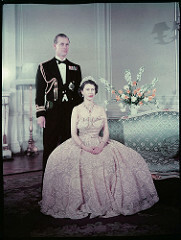 Even though Prince Philip is the husband of Queen Elizabeth II, he would not become King if she were to pass away. The line of succession starts with Prince Charles, the Prince of Wales. He is the eldest son of Queen Elizabeth II and Prince Philip, The Duke of Edinburgh. Second in line is Prince William of Wales, The Duke of Cambridge (born in 1982). He is the eldest son of Prince Charles, Prince of Wales and Diana, Princess of Wales. Third in line is Prince George of Cambridge. He is the eldest child of Prince William of Wales, The Duke of Cambridge, and Catherine, Duchess of Cambridge. Prince George was born in 2013. Fourth in line is Princess Charlotte of Wales. She is the second child of Prince William of Wales, The Duke of Cambridge, and Catherine, Duchess of Cambridge. Charlotte was born in 2015. In 2013, the Succession to the Crown Bill was passed. It said: “To make succession to the Crown not depend on gender; to make provision about Royal Marriages; and for connected purposes.” This bill is the reason that Princess Charlotte is fourth in line to the Crown. Without this bill, she would have been skipped over because she is female. Fifth in line is Prince Henry of Wales (born in 1984). He is the second son of Prince Charles, Prince of Wales and Diana, Princess of Wales. * Are You A Descendant of a Wealthy Family?